Dependable media measurement isn’t just a good practice for the advertising and media industry, it can cost media suppliers -- especially ones developing new and emerging advertising formats -- real money. 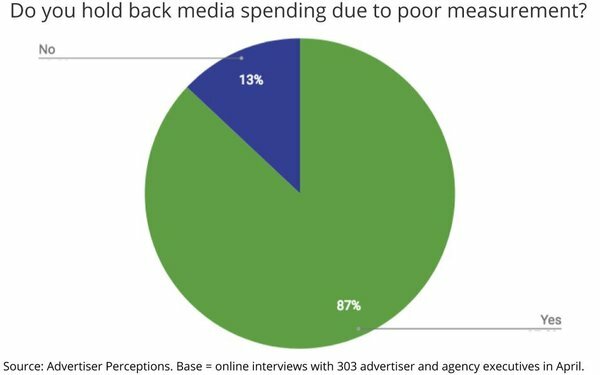 Eighty-seven percent of ad execs say they “hold back” spending on media companies and platforms due to “poor measurement,” while 67% said they hold back on adopting new media formats for the same reason, according to a survey of 303 ad executives conducted in April by ad industry researcher Advertiser Perceptions. 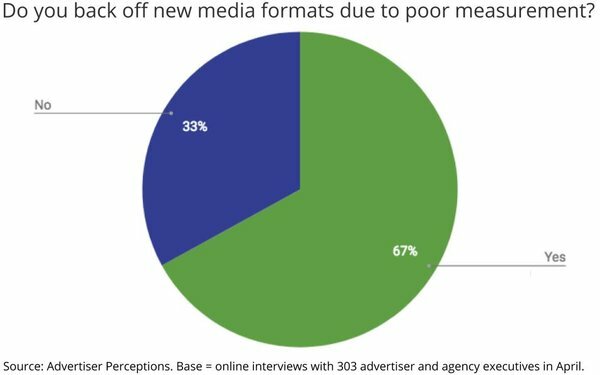 “I think one of the things the industry needs to do a better job of is not just blaming the measurement companies,” says Randy Cohen, CEO of Advertiser Perceptions, which is holding a webinar August 15 to drill into the findings of the new study, which also reveals some shockingly low stats regarding the industry’s current confidence levels. An early look provided to Research Intelligencer shows that only 11% of industry executives are “extremely satisfied” with the current state of industry research. 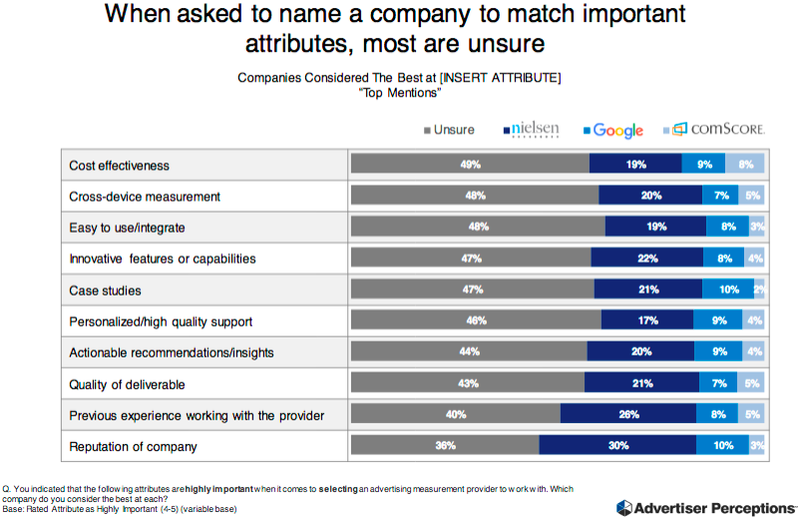 The study also ranks their perceptions of leading measurement platforms -- including Nielsen, comScore and Google -- and shows them all lacking among the key criteria the ad industry utilizes research and measurement insights for. “This all comes down to who is spending the money,” explains Cohen, adding: “It’s their money and they need to do a better job of in terms of asking for what they want. I think the solution requires that everyone gets on the same page."